Bringing 1-1 to our Del Mar High School Dons! 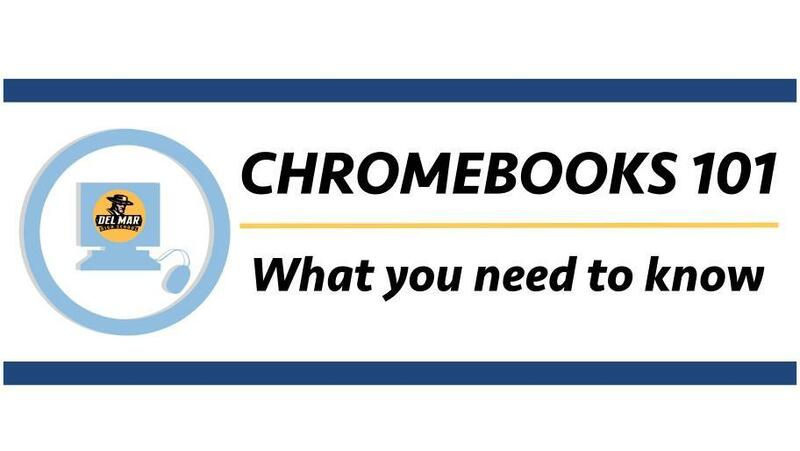 Del Mar is proud to pilot a 1-1 Chromebooks program at CUHSD. The Chromebook is an essential tool for learning at Del Mar. If you have any additional questions or concerns regarding this program, please feel free to contact us.